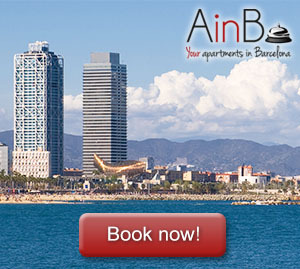 Every important city is known for having some districts with their own personality: Notting Hill in London, Trastevere in Rome, Manhattan in New York, Copacabana in Rio de Janeiro … When it comes to Barcelona, more than one district could be named, because it is a city proud of being more than just an old town. 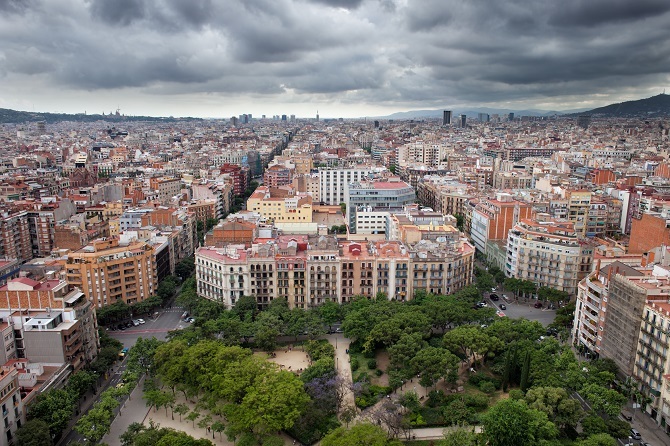 Nonetheless if one district is worth being mentioned for its history, and its links with modernism and development in Barcelona is the Eixample. The Eixample district, and its famous works by Gaudí, emerged from the imagination of an advanced man at a time he wanted to go beyond the typical distribution of streets when planning the extension (Eixample in Catalan) of the city. The Eixample is a set of blocks of houses distributed in grid-shaped. This data would be irrelevant (it is a common distribution in other cities, especially in Latin America) if it was not the result of a very detailed project: Cerda did not only take into account the equal distances and an orderly distribution grid, providing the space some gardens, avenues to walk and enjoy (as the famous Passeig de Gracia, Passeig de Sant Joan and Diagonal, the main artery of Barcelona) and other elements which avoid the atmosphere of a ghetto, typical in a dense area, but he also took into account the distribution of the facades to maximize daylight hours and a solution: the chamfering of the buildings, which would allow open spaces and avoid the traffic jam. And the most fascinating he designed it in a moment when the concept “jam” didn’t even exist. These buildings were not designed to be normal residential blocks, but urban “islands” whose monumental squares and gardens would be able to spread throughout the city the openness character of Barcelona during the nineteenth century. The Eixample nowadays is unfortunately a victim of real estate speculation and different economic crises. The plan to transform each island into a green paradise was not carried out since the beginning. However this does not mean that it has lost its monumental character, and in this populous district of Barcelona (the largest in Spain with 262,485 inhabitants) we can find some of the finest architectural jewels of Barcelona. 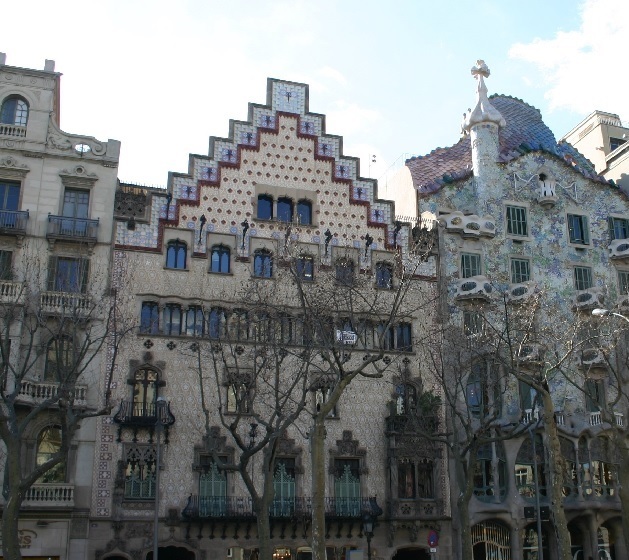 The Eixample was the “testing”area of Gaudí to develop its creativity. Most of his projects, from his most famous residential houses on Passeig de Gracia (Batlló, la Pedrera) to his masterpiece, the Sagrada Familia, are located in this residential dream. But the Eixample continues after Gaudi and has more to offer: from boulevards like the Diagonal, Gran Via and Sant Joan (where the Arc de Triomf is located) to the Monumental Bullring, Spain square(Plaza España) and Glóries, located at the borders with other neighborhoods of Barcelona. The immensity of this neighborhood led to the division of the area into two zones: “Eixample Esquerra” and “La Dreta del Eixample”. A division whichresults in thousands of arguments among its residents and visitors to see which side is the most pleasant, as it happens when Real Madrid and Barcelona are playing a football match. And there are obvious reasons to choose both sides of the Eixample: from the bourgeois environment of the right side, to the endless possibilities of leisure that the left side offers. They will surely make you hesitate when making your choice. .